Sleep Well Beast, the newest offering from Cincinnati natives The National, sees them return to some of the themes and sounds explored on their last release, Trouble Will Find Me. While still draped in the same demeanor and mood they have established over the past half-decade, they return to some moments that remind us of albums Alligator and Boxer. 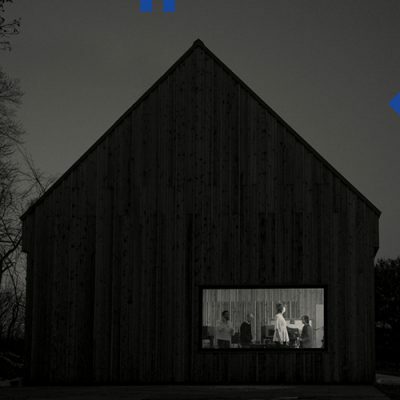 Produced by guitar players and brothers Aaron Dessner and Bryce Dessner at Aaron’s studio, Long Pond, in New York, Sleep Well Beast is a bit less granular as a finished product than past albums but still follows suit as an entry into their catalog of rain-soaked ballads. Dealing with topics of yearning, separation and uncertainty, singer Matt Berninger co-wrote this collection of songs with wife Carin Besser. The album opens as you would expect it to: dark, cryptic and somber without being maudlin. There’s little sunshine here, and it seems that moving to Los Angeles from New York City has changed little of vocalist Berninger’s tune, as he quietly laments, “Can you remind me the building you live in? / I’m on my way / It’s cold again, but New York’s gorgeous / It’s a subway day.” This juxtaposition of cold yet quietly gorgeous is synonymous with the band. But Berninger’s move hasn’t changed much for the still-Brooklyn-based band, even as The National’s rhythm section (brothers Bryan Devendorf and Scott Devendorf) have been playing in the band LNZNDRF. We hear the brothers providing a steady yet winding rhythm in the opening moments of the album’s second track, “Day I Die,” with Aaron’s (dare I say) The Edge–esque, delay-tinged and overdriven guitar tone laying a stormy lead over Bryce’s rhythm. The album’s tempo slows and brings us back to what we’ve come to know from The National. The track “Empire Line” features a synthesized piano reminiscent of The Antlers’ Hospice, with Berninger yearning, “Can’t you find the way? You are in this, too,” almost accompanying the album’s 10th track, “Carin at the Liquor Store,” which may be the first time Berninger has directly referred to his wife outside of the track “Karen.” It shows us that though the two may be happily married, they’re not immune to the struggles that accompany a relationship.